There are some ailments that don't appear till one reaches certain milestone age in their life. For me, it was reaching my thirties and being inundated with more chronic back problems, and not to mention a lowering metabolism. Recently I started my practice in a not for profit kitchen. It is not a commercial kitchen so work is not as hectic as it could be. However, as most may or may not know, working in the kitchen requires one to stand for many hours. Regardless, I've learnt that taking breaks is essential for maintaining the health for my back. I'm not sure about others, but I definitely need mine. After about 18 days in the kitchen, over about five weeks, my back finally told me she wants a break. Lol. I basically slept in for two days and would have slept more if my friends had not come and look for me. On Friday, Jo came and looked for me. 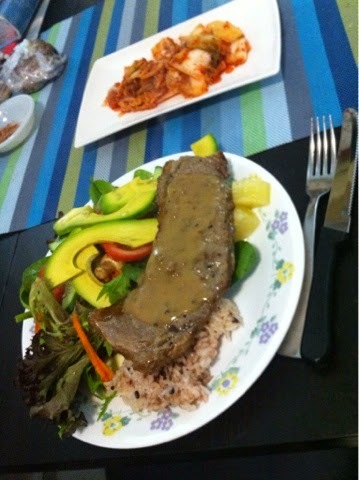 we ended up going to her friend's place for dinner. I am really grateful to my friends who have come to check on my well being making sure I have not passed on.. Hahaha. Along the way, I decided to get some supplements from Usana for my declining health. Hahaha. 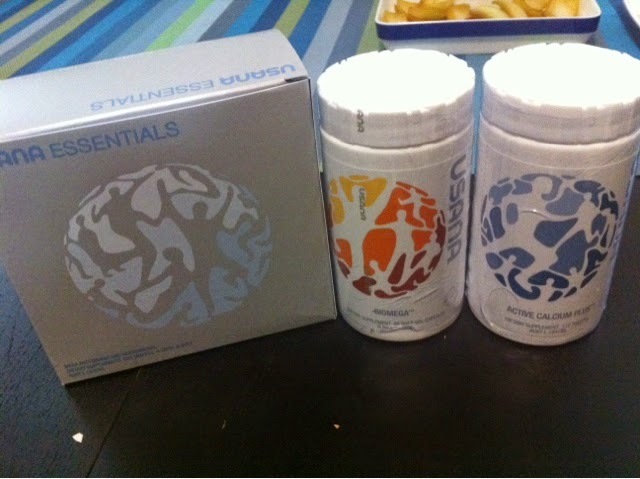 They were the Usana Essentials Pack, Biomega, and Calcium. 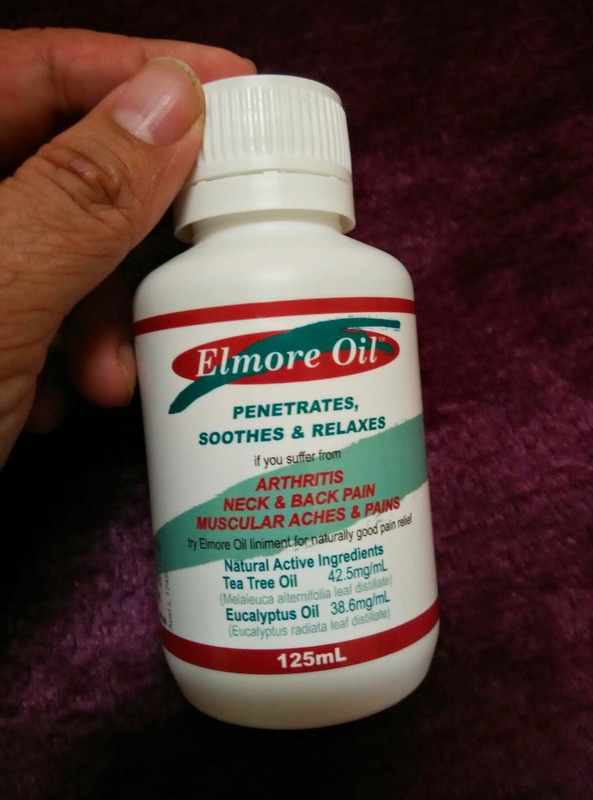 Thanks to Ju-Min for bringing lunch and the Elmore Oil ointment for me. Finally a word of thanks to other friends like Malin for coming to pick me up and dropping me in the city so I can go see the chiropractor. and take care of my back.